Is a Self-Directed IRA any different than a regular IRA? No. With a Self-Directed IRA you are able to direct your own investments. Unfortunately, many custodians place restrictions on what you are allowed to invest in, but an IRA that is truly self-directed allows you to invest without restrictions. Is there any difference between a Self-Directed IRA and a Self-Directed IRA LLC? A Self-Directed IRA LLC is truly self-directed and you are in total control of the account. With a Self-Directed IRA LLC you are responsible for managing the checkbook, don’t have to ask permission to make purchases, and may write checks for the IRA. Are there advantages to using a Self-Directed IRA LLC when investing in real estate? Yes. You have total control over the finances of the IRA and this gives you far more freedom to make decisions quickly. A self-directed custodian requires you to get permission for just about everything you do. This can be a problem with a time sensitive investment like real estate, where a few minutes can make or break the deal. With a Self-Directed IRA LLC you have the checkbook and the ability to make the investment immediately, without someone else’s permission. An IRA with an LLC is also subject to lower and fewer fees than a one without it. The LLC also gives you the ability to advertise for renters, pay real estate bills, deposit rent checks, etc. This freedom helps you keep money in your IRA and make your retirement that much more comfortable. What type of retirement accounts can be moved into Self-Directed IRA’s? Qualified Annuities, Profit Sharing Plans, Money Purchase Plans, Government Eligible Deferred Compensation Plans, Keoghs Traditional IRAs, SEP IRAs, Roth IRAs, 401(k)s, 403(b)s, Coverdell Education Savings (ESA) a.k.a. Educational IRAs. Most retirement accounts can be moved into a Self Directed IRA. Are there any downsides to a Self-Directed IRA? Only for people who don’t want to be involved in their own investments. If this is you, you don’t want a self-directed IRA. What investments can I make with an IRA LLC? Anything you can invest in with a regular LLC, with the exception of collectables and insurance contracts. Also, if you plan to be involved in any “self dealings” you must obtain a DOL exemption. Is real estate a good investment for my IRA? Yes. Real estate offers a tangible value with excellent returns. As investors become aware of this, many are gradually moving some or all of their retirement capital into the real estate market. Can I use my IRA to purchase property I already own? No. This is considered a prohibited transaction. Is investing my IRA in real estate against the law? IRA law does not prohibit investment in real estate. What is the most effective way to buy Real Estate using my IRA? There is no question the Self-Directed IRA LLC, is the only choice for investing in real estate. This option gives you the most control over the IRA’s finances. What happens to the rental income if I buy an income generating rental property? The investment will retain it’s tax deferred or tax-free status. Any income generated by the IRA owned property, goes right back into the IRA. Why does my current broker claim that I can’t buy real estate using my IRA? 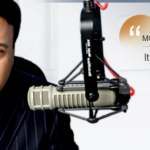 The most likely reason is that your broker won’t allow real estate investment through their custodian. Either that, or your broker is not aware that it is possible. In either case investing in real estate is allowed, your broker just doesn’t do it. Can I use my Self Directed IRA LLC to obtain a mortgage? You can, but the loan would be a non-recourse type. This means, the only recourse the bank would have against the loan would be the property itself. The loan would also be subject to unrelated debt financed income tax. Do I pay taxes and penalties when using my IRA to buy Real Estate? No. Buying Real Estate with your IRA is just like any other investment made with it. 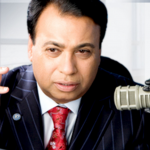 Does leveraging real estate still make sense? Yes, because it increases your buying power. The benefits of this increased buying power, far outweigh any risks involved in leveraging. Can my Self Directed IRA LLC get a loan if my IRA is short of the funds to purchase it outright? Yes, your Self Directed IRA LLC can get a non-recourse type loan. Unfortunately, with this type of loan , if your IRA can not make the payments, the property is the only recourse the lender has available against the loan. You may also want to speak with a tax professional, because a loan of this type is subject to UDFI (unrelated debt financed income) tax. Can I manage the property I purchase? The answer would be no with a simple self-directed IRA. But with a Self-Directed IRA LLC you would be able to manage the property, collect the rent checks, advertise for renters, pay the real estate bills, etc. A Self-Directed IRA LLC, unlike one without the LLC, doesn’t have a laundry list of restrictions. This will save your IRA a lot of money, giving you more to enjoy during your retirement. 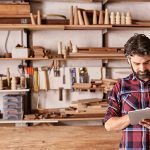 Can I make renovations or improvements to the property using my IRA? Any improvements made to the property must be paid for by the IRA. Since the property is an investment of the IRA, all expenses or profits generated by the property, must be returned to the IRA. Yes you can, but you can not vacation there. Can I buy my retirement home with my IRA and then live in it when I reach the age of retirement? Yes. Upon reaching retirement age, the property could be distributed to you. Of course, you would be required to pay any taxes generated by this distribution. Can I use my IRA to invest outside of the country? Of course – there are many great investment opportunities in other countries. Can I loan money to others for property using my IRA? Yes, if it is a Self-Directed IRA LLC. This is done frequently, and can be a great investment. Can I give my brother a loan for the down payment on his house? Yes. Loans to siblings are not considered prohibited transactions. Can my Self Directed IRA LLC make loans to a friend? Yes. Your IRA is able to make loans to friends for just about any purpose. 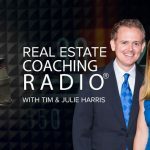 Can my Self Directed IRA LLC make loans to a real estate developer? Yes. This is a great way to get your IRA involved in real estate. Many developers rely on private financing and a good developer, is a good investment. Can my Self Directed IRA LLC make loans to businesses or companies? Of course – as long as you have no ownership interest in the company. Can my Self Directed IRA LLC be used to purchase a business? Can I invest in a business? Yes. This can be done by purchasing stock as a loan to the business. 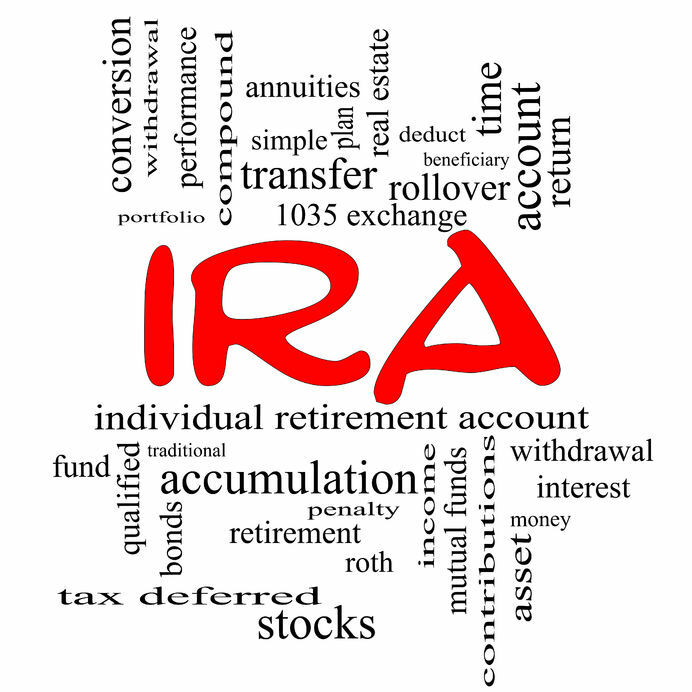 Can I transfer funds from an existing retirement account to my IRA? 401k, IRA, Sep IRA, Roth IRA, or 403b accounts can all be invested in an IRA LLC. Why is so little information available on Self-Directed IRA’s? Many in the investment community don’t want smart investors to know about the options available outside of the traditional stocks and bonds they offer. Since most brokers make their money through fees and commissions, they want you to buy what they are selling, not invest outside of it. Can I co-invest with my IRA? You are not prohibited from doing so, but certain rules need to be followed, and in many situations it is not advisable. Can my IRA co-invest with my friends? Are the profits made by my Self-Directed IRA LLC taxable? If your IRA is used to purchase a property that is then sold for a profit, the profit stays within the IRA. If you have a Roth IRA it should be tax exempt and traditional IRA’s are usually tax deferred. Are there any special taxes that apply if I use debt financing to purchase real estate? Yes, your investment would be subject to unrelated business taxable income (UBTI). What are IRA Prohibited Transactions? Putting it as plainly as possible, a prohibited transaction goes against the basic intent of the IRA. The rules governing prohibited transactions are available in IRS Publication 590, IRC 4975. What are IRA Prohibited Investments? The prohibited investments outlined in the Internal Revenue Code include: artwork, rugs, antiques, metals, gems, stamps, coins, beverages, stock in a s-corporation, and certain other tangible personal property. How can I avoid prohibited transactions and / or self-dealing transactions? Only invest in new properties, or properties not owned by you, or a disqualified person. Also, make sure any purchases made by your IRA are for investment purposes only. For example, if your IRA is used to purchase beachfront property, you are not permitted to use that property for your next vacation. One last thing, if you perform maintenance on a property owned by your IRA, you may not pay yourself from the IRA for the labor performed. What is the definition of a disqualified person? 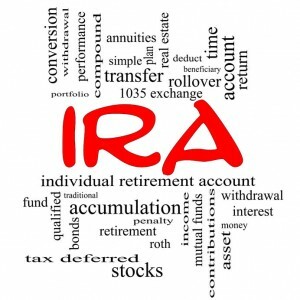 Disqualified persons include: The IRA owner, his/her spouse, ancestors or lineal descendants of either, managers, investment advisors; any corporation, trust, partnership, or estate which the IRA holder has a 50% or larger interest in; as well as anyone who would provide services to the IRA such as a trustee or custodian. It is my IRA. Why am I a disqualified person? Your IRA is a separate trust for your benefit when you retire. It doesn’t really make sense to invest it in the person it is meant to benefit. Can I form an IRA S-Corp? Can I invest in stocks and other more traditional investments using my Self Directed IRA LLC? Yes. Any traditional IRA investments are still available to you. The benefit of a Self Directed IRA LLC, is the freedom you have in choosing these investments. By cutting out the middleman, you can direct your own investments and and have total control over the IRA’s finances. A Self-Directed IRA LLC is just like a traditional LLC, minus the middleman. Can I move a 401k I had with an old employer into my Self Directed IRA LLC? Yes, and we can help you do it. If you have several old 401k plans or IRAs, it is also possible to combine these for investment in your Self Directed IRA LLC. You should also consider investing any funds you are unable to combine into the same Self Directed IRA LLC, because this will maximize your buying power. Can I move money from the 401k I have with my current employer into a Self Directed IRA LLC? In most cases, you cannot move money from a 401k plan if you are still working for the employer. Although, certain 401k plans may allow you to unlock a portion of your funds for reinvestment. Is the transfer of funds a taxable event? Do you offer checkbook control to your investors? Do you allow your clients to invest in LLCs and LPs? Am I able to invest in an LLC I manage? Can I allow someone else access to my IRA’s LLC, if I no longer want to manage it? Am I able to partner with my LLC? You are, but a separate LLC must be created for the partnership. Am I able to partner my IRA with another unrelated individual? Can I use my IRA to pay for pre-construction reservations I intend to assign or simultaneously close on? Is investment in secured and unsecured notes allowed with my IRA? Will you consider unique transactions? Can I manage the rental properties owned by my IRA, and if so, how many? You can manage any and all of the rental properties owned by your IRA. Is a bookkeeper required for the rental properties owned by my IRA? Is your company bonded for theft and fraud? The asset is held by the LLC. Are funds in my IRA insured? The funds are usually in a FDIC insured checking account, since you will have checkbook control. Are you involved in any pending or ongoing litigation? Do you have any audited annual reports available? Do you allow debt-financed properties? Do you allow investment in foreign real estate? What is your review process for limited partnerships? We use tax attorneys when drafting limited partnerships. Do you offer any advice on investments? As custodians, we are unable to offer advice. Are you independent of the products you recommend? Do you have a complaint procedure? Do you have testimonials available? Why should I choose your company over the rest? • The lowest possible custodial costs.